You don't have to visit the "Big Easy" to appreciate the culinary heritage and robust flavors of Louisiana. Étouffée means "smothered," and is a sought-after dish in Louisiana, a stew with vegetables and seafood, enveloped in flavorful seasonings, and served over rice. My hubby and I visited NOLA (New Orleans, Louisiana) a few years back and we fell in love with the culture, the arts, and of course being the foodies we are, the food, especially étouffée, Cajun comfort in every bite! It made such an impression, I came home and immediately worked on developing our own Cajun Seasoning so we could enjoy the flavors of Louisiana whenever the mood struck and share them with you! This recipe, inspired by the rich roots of Louisiana, was amazingly flavorful and will become a favorite among your family and friends. Bring a taste of Cajun Country to your table and savor the soul of Louisiana with this easy, tasty dish. Your family and guests will thank you! Serve this recipe with our Cajun Cornbread Recipe and a green salad for a complete meal! Chop and assemble all ingredients before you start the cooking process. 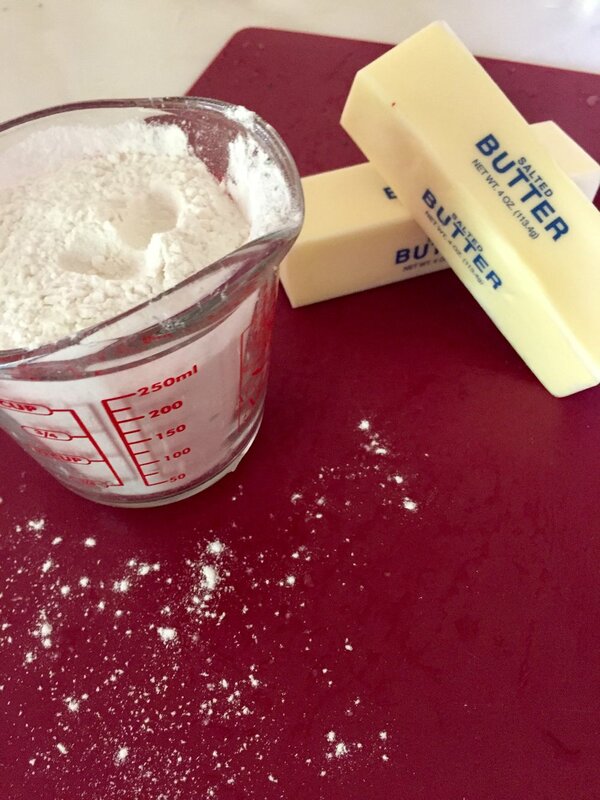 Melt the butter in a large pan over medium heat. Stir in the flour and mix until smooth paste forms. Keep stirring until lightly browned. This is called a roux. Add all the diced and minced ingredients to the hot roux. Stir and cook until ingredients are softened about 5 minutes. Add the diced tomatoes and the seafood stock. Cook and additional 5 to 6 minutes or until veggies are done to your liking. 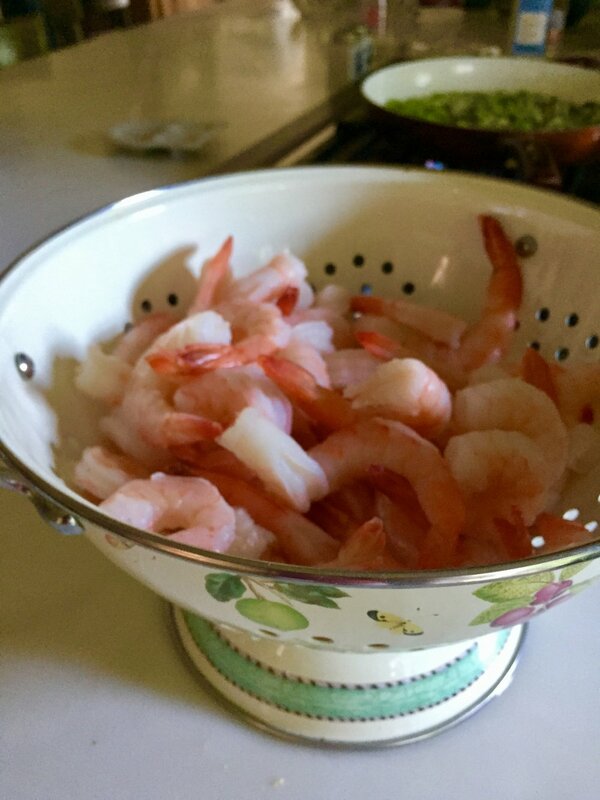 If sauce becomes to thick, add additional seafood stock. Add Worcestershire sauce, hot sauce, shrimp, and Cherchies Cajun Seasoning and cook until heated through. Serve the etouffee over rice, or mashed potatoes. Keep the hot sauce on the side for those who like it hotter. Enjoy!